We ‘Capital Engineering Corporation’ are engaged in manufacturing, supplying, exporting and service providing of a wide range of Machine Spindles. These products are designed and developed in CAPITAL ENGINEERING’s state-of-the-art manufacturing unit. Our highly experienced and trained team is capable of manufacturing spindles as per customer specific requirement. 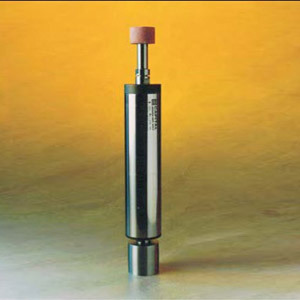 Thus due to our higher range of spindles, these products are extensively used in diverse industrial applications. Leveraging on our enriched industry experience, we are engaged in manufacturing and supplying a wide range of precision Spindles and Spindle Motors. The huge assortment of products offered by us includes Belt Driven Spindles, High Frequency Spindles, for various applications like Grinding Spindles, CNC Turning Center Spindles, Drilling Spindles, Milling Spindles, PCB Drilling Spindles, Boring Spindles, Spindles for Vertical Turret Lathes. These products are precisely designed and engineered in our advanced manufacturing unit. We make use of the Laboratory tested best quality materials. Our company is facilitated with a huge and advanced infrastructure facility in 6000 sqft Area at Delhi on NH 1. The Operations are further divided into various departments such as Quality Control, Manufacturing Unit, Administrative Block and Research and Development Unit. These departments are regularly maintained by our highly experienced and efficient personnel. We have installed highly advanced and latest tools and machinery in our manufacturing unit. These are regularly updated & calibrated timely. Thus, these are able to manufacture flawless range of Spindles. Capital Engineering Works have dynamic balancing machines to do dynamic balancing of rotating parts upto 3 ton weight which enables jobs to run vibration free at higher RPM. A temperature controlled assembly and inspection area are state-of-the-art coordinates these measuring machines. With the high frequency spindles, there is an option to control cutting speed by means of electronic A/C drive and there is no vibration due to inbuilt motor. The Motorized spindles offered by us are available with a built in motor where low RPM is required. Our Belt driven spindles have a low cost option to get desired RPM by changing different dia pulleys. These precision spindles are offered in standard models and also as per the requirements of our clients.